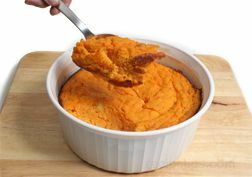 A spoon-shaped kitchen utensil, varying in size from a dash to 1 tablespoon or 15 milliliter measures that are used to hold specific amounts of both dry and liquid ingredients. 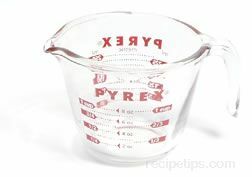 Measuring spoons are available in a variety of sizes and materials. 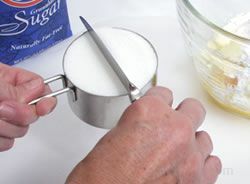 The smallest sets of spoons measure a smidgen, a pinch, and a dash. 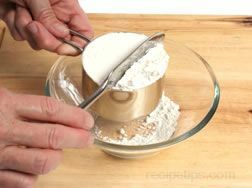 Other sets contain teaspoon (tsp) and tablespoon (tbsp) measures of 1/8 tsp, 1/4 tsp, 1/2 tsp, 3/4 tsp, 1 tsp, 1-1/2 tsp, 2 tsp, 2-1/2 tsp, and 1 tbsp in U.S. measures or milliliters (ml) of .6 ml, 1.25 ml, 2.5 ml, 3.75 ml, 5 ml., 7.5 ml, 10 ml, 12.5 ml, and 15 ml in metric measures. 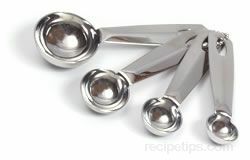 The measuring spoons are typically made from plastic or metal. 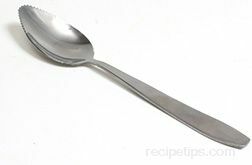 There is an adjustable type measuring spoon produced that does not resemble the typical measuring spoons. It is an elongated slotted container that has a slide bar with a "stopper" to control the specific amount of meausre desired.